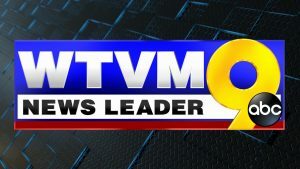 Two days ago local TV station WTVM Channel 9 got wind of the brewing Cobra Collections story here in the Columbus GA area. Zaneta Lowe, reporter for WTVM, paid a visit to Janice Ledden and several “victimized” business customers. I was one of those unhappy business customers. I was informed that a fellow business associate, Lisa Mize, of Coldwell Banker Kennon, Parker, Duncan, & Key’s Rental Department, passed my name along as the keeper of the Cobra Collection Agency web page. Zaneta Lowe left a message for me yesterday morning. I returned her call around 1pm and she said she was doing a story that would appear at 5pm. I thought to myself that was very quick but they were committed to doing it. I informed Zaneta that she needed to be aware of the web page which had more complete information than any one person would know. Initially, I did not plan to meet with her. However, seeing as she was going to run the story, I thought I had to accommodate her. They came over to my home and we sat discussing the situation and story. While the cameraman was filming, the camera ran out of film which interrupted our flow. Then, the camera ran low in battery power which caused another interruption. I bring that up because I provided far more information than what was displayed on the aired story where I stumbled on my words. I suppose you just never know what will make it on camera and what will be left behind. In any case, the TV story meant that people are starting to take seriously the Cobra Collections situation I reported months ago. Surprisingly, Janice Ledden volunteered to talk to Zaneta. I suppose if she tried to avoid it, it would have made herself look worse. In any case, the story was covered several times between Friday, June 1 and Saturday, June 2 on the various newscasts. I was informed it also made it to the news FOX affiliate (and sister station) WXTX-54 broadcast at 10pm. A good number of people I know saw the story. I had no idea so many people watched the news. The videos have been posted to the Cobra Collection Agency Scam website.